I love making my daughter a special breakfast on any holiday like my heart and love shaped pancakes. Since I got those silicone egg molds to make my DIY Kinder Surprise Eggs, I decided to put them to use again and make some pancakes out of them. I wanted the eggs to be pink so I took about 3/4 cup of chopped fresh strawberries and placed it into my mini blender and blended away until I got a nice puree. I took some cheesecloth and placed it into a strainer and poured the puree through to catch all of the seeds and chunky bits. 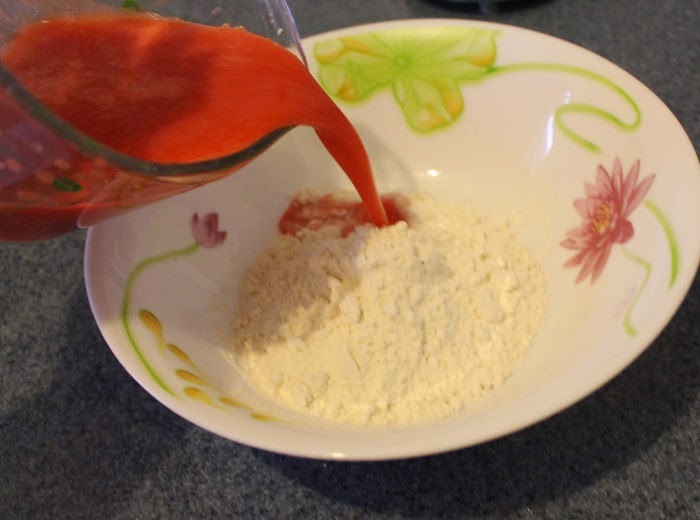 Since I used a complete pancake mix I used two thirds of the strawberry puree and one third water for the liquid. My box instructions called for 3/4 cup of water so I added 1/2 cup of strawberry puree and 1/4 cup of water. 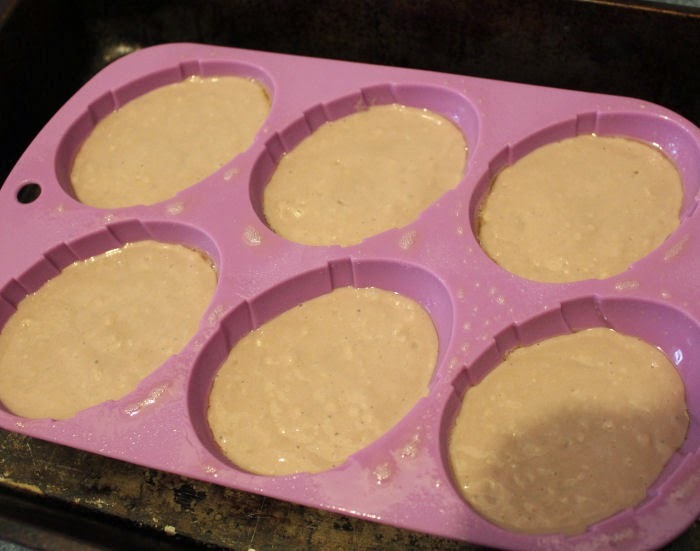 Mix and let the pancake batter rest for at least 5 minutes. Take the silicone mold and place onto a metal sheet pan. 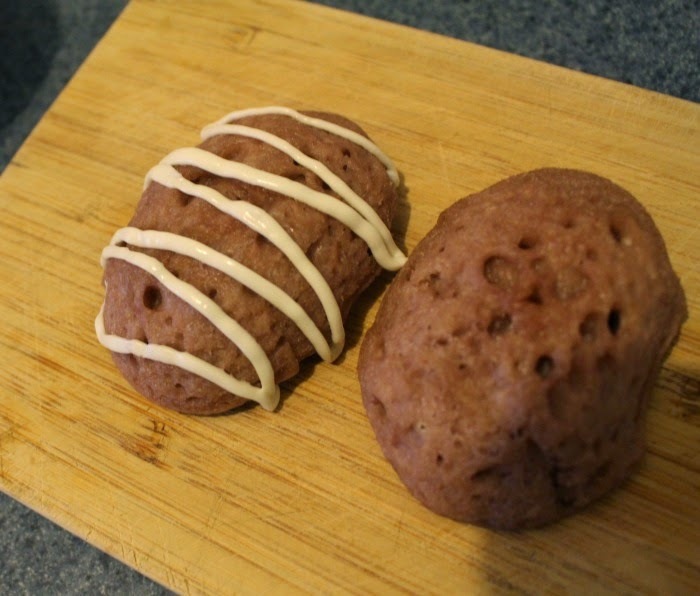 Spray the egg molds with some oil and pour the strawberry pancake batter in. Place in the oven at 350 degrees and cook until the pancakes are cooked through. Mine took about 25 minutes. 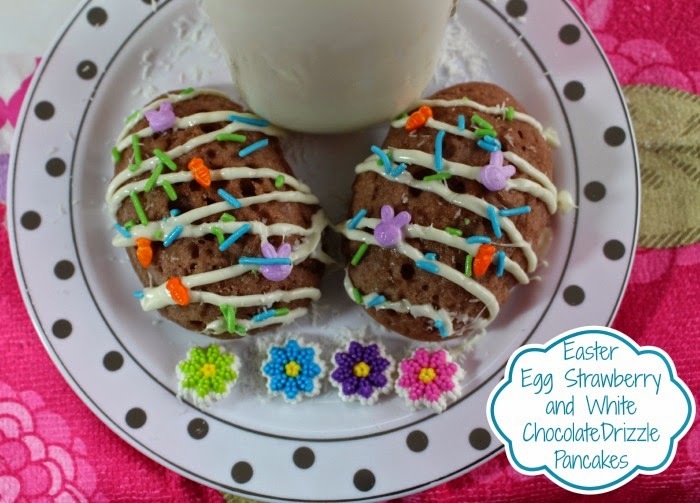 Sprinkle some unsweetened coconut flakes to the bottom of the plate and place the eggs on top to serve. Those are the coolest pancakes. I bet they were yummy too. Those are so cute! My kids would be a big fan of this. 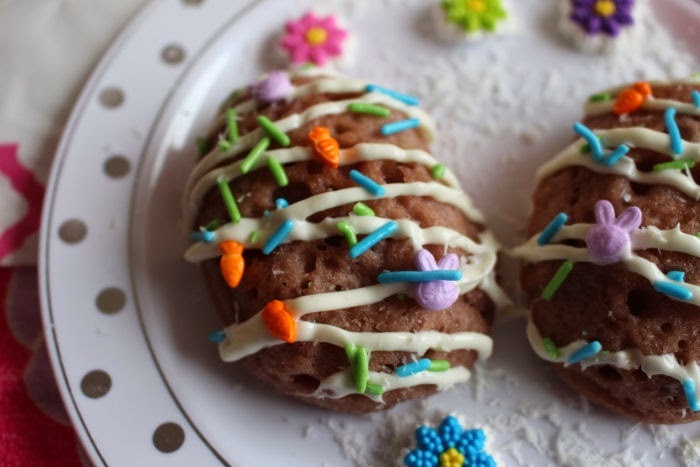 I love the frosting and sprinkles you put on them. 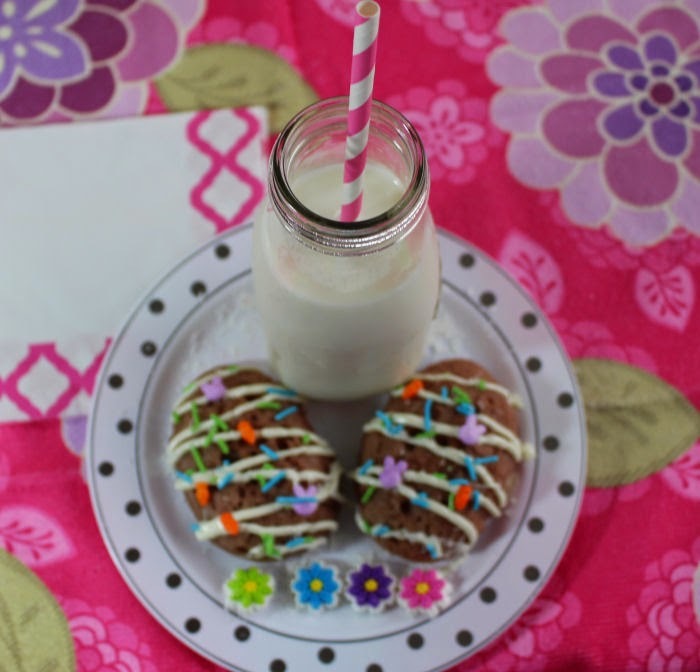 What an adorable idea for Easter breakfast! Those turned out cute. 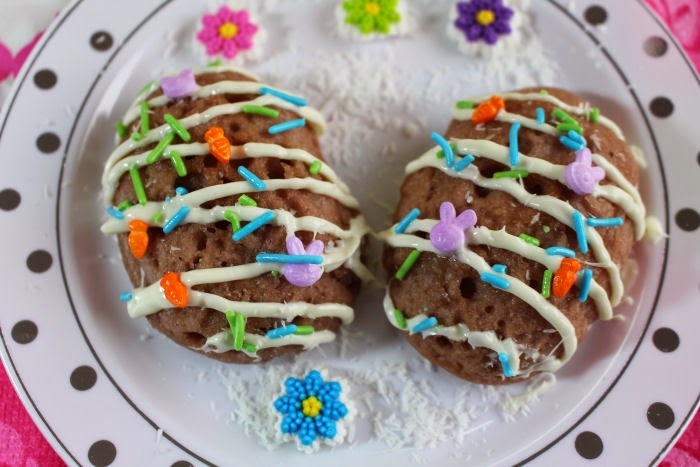 I love the bunny candies you topped them with! Those look so good!!! i know my kids would love making these.